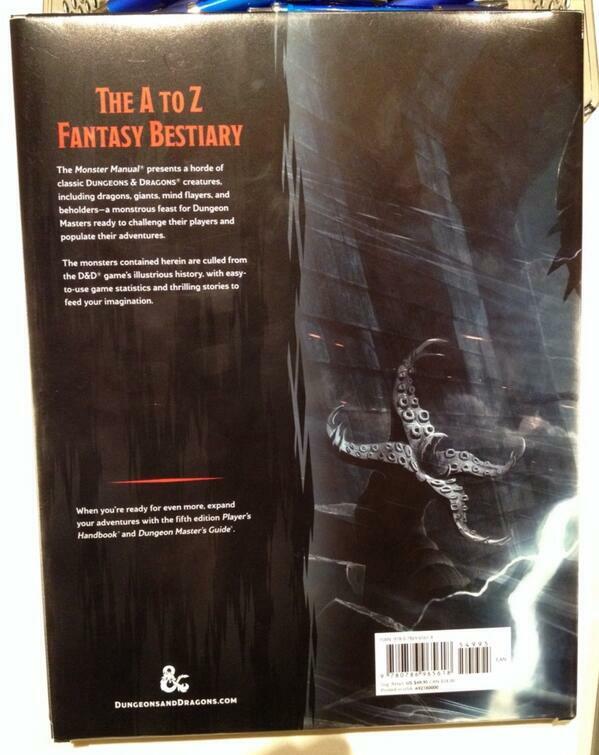 More details include back cover art and Monster Manual, Dungeon Master's Guide details. 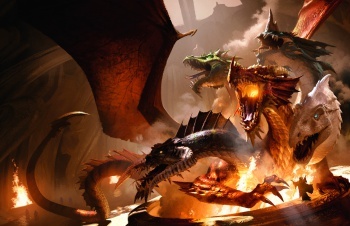 Wizards of the Coast has released more information about the new Dungeons & Dragons at this year's ACD Game Days, a convention for tabletop games retailers. Most notable is the revelation that about 15% of the Player's Handbook will be available for free online, answering the cryptic question sparked by Designer Mike Mearls' tweets that you'll need neither the Starter Set nor the Player's Handbook to make characters for the game. 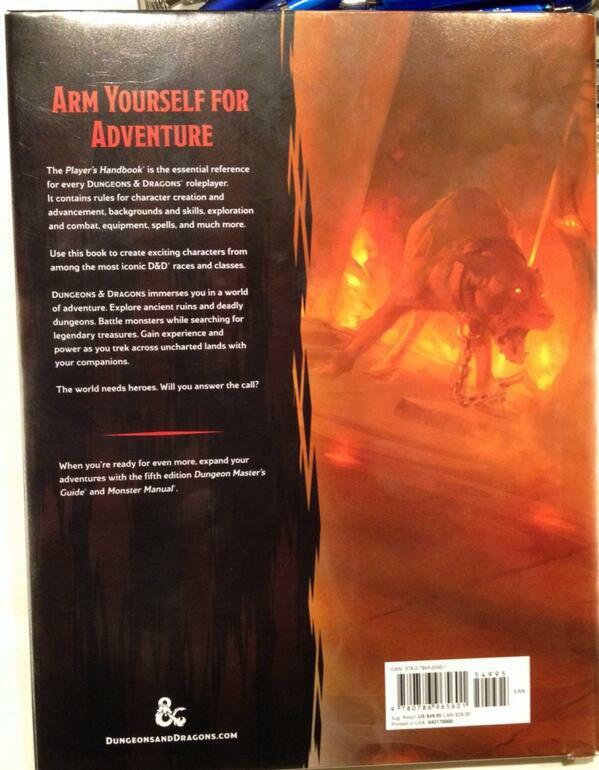 Sidebars in the Dungeon Master's Guide will help DMs to customize their game to feel more like past editions of Dungeons & Dragons. The Monster Manual will have an emphasis on "Villainous Organizations" to go along with monsters. 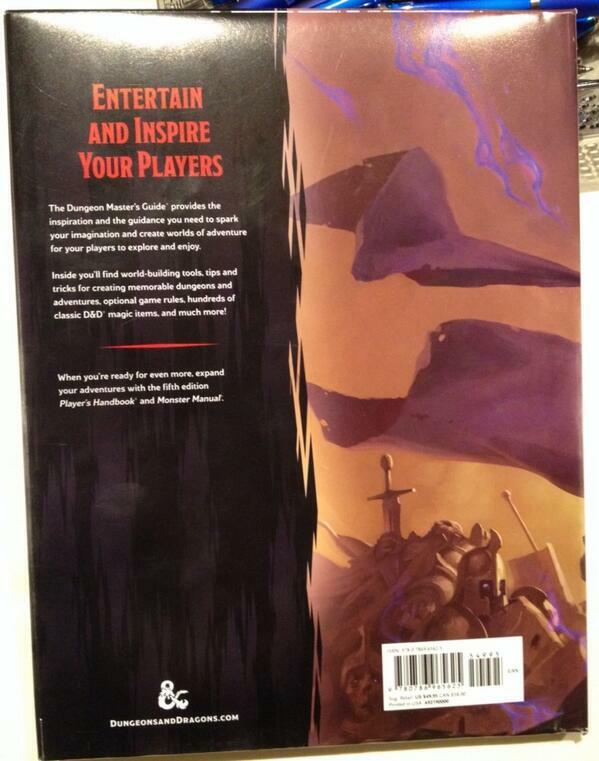 The back of the Starter Set does actually call the game "fifth edition" whereas other branding has not used that term so far. The Wizards of the Coast representative emphasized D&D's multimedia presence as a path to book sales, hinting at another D&D movie. A new expansion for D&D board game Lords of Waterdeep is not out of the question. 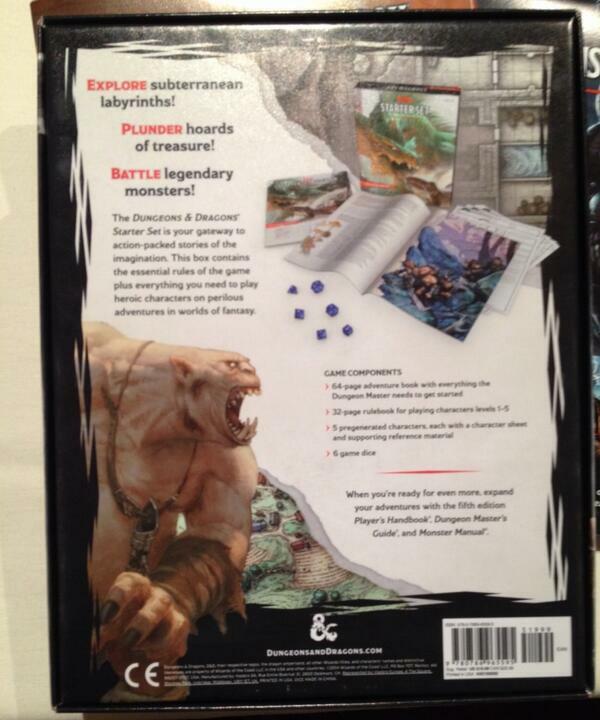 All of these revealed details come in addition to the previously revealed full product line and release dates of the new edition as well as the structure of the new Organized Play program D&D Adventurers Guild. What does all this mean? Check out our analysis of whether the new D&D will succeed or fail.